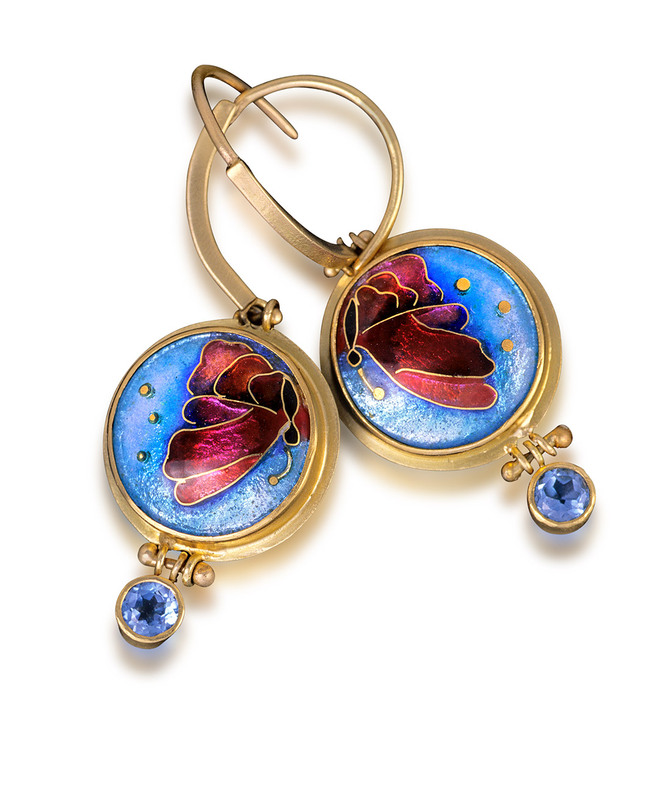 Lune Papillones is a cloisonne jewelry piece created by Patsy Croft. It belongs to Holiday collection of amazing enamel jewelry with unique jewelry designs. Lune is the beautiful butterfly I have depicted for my cloisonne jewelry here in a design for small earrings in the technique of cloisonné . Lightweight, casual, everyday enamel jewels in your collection can be your go to choice. And making your personal statement that you are not a part of the throwaway society and prefer jewels of quality that pleases individuals for a lifetime. Contact me for a custom enamel jewelry piece that will please you and make that statement of quality.